Conservation status: Architecture monument of state importance No.6260 (whole complex of buildings with park). Ungurmuiza manor house belongs to oldest wooden palaces in Latvia - it is constructed in 1732, rather soon after the Great Northern War. In these hard times in Russian Empire it was forbidden to construct stone houses outside St.Petersburg. Rebuilt in 1747. - 1753. The ornate and harmonious Barocco style building has survived up to this day in surprisingly good condition, there has been preserved also a park with numerous enormous trees, several more Barocco style buildings - all together forming an outstanding example of cultural landscape. 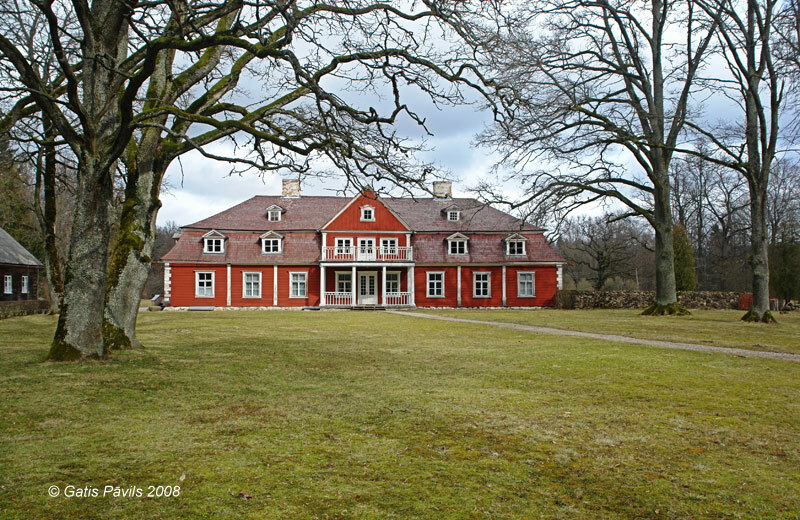 Manor house is adorned with distinguished wall paintings from 1750 - 1762 by Limbazi decorator Georg Dietrich Hirsch, there are other valuable monuments of art.